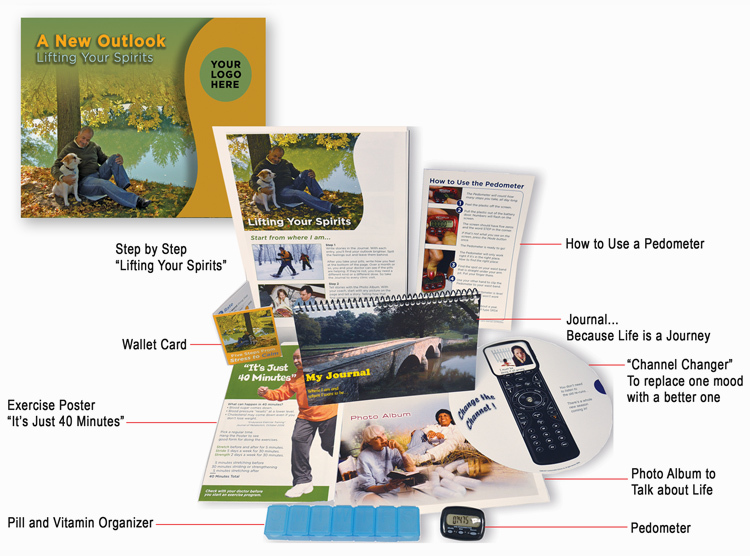 This kit contains a Photo Album, a well-established psychotherapy tool. It gets people taking about their feelings hardest to share. You’ll quickly have the data to do your job: Work through negatives and establish a positive outlook. Patients said, “Depression equals guilt, loss and loneliness.” Overcoming it takes exercise, laughter and determination. These tools carry you there.